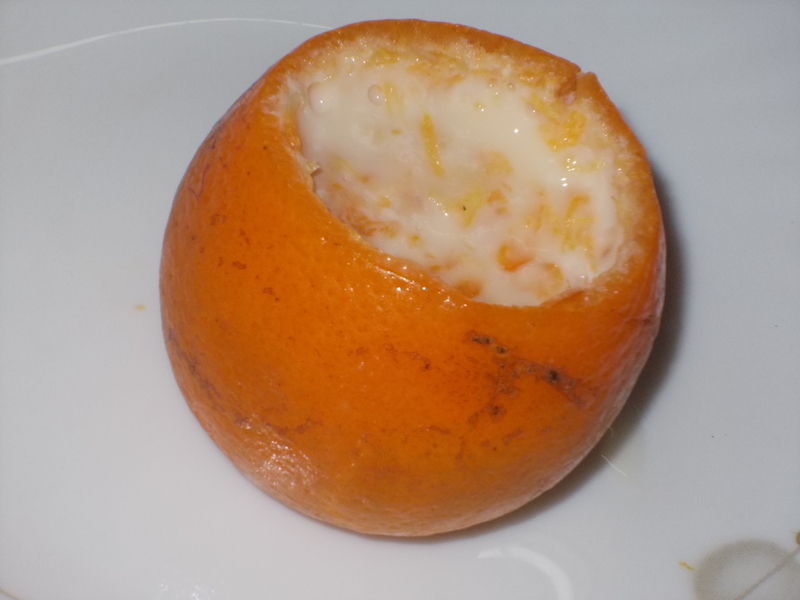 Orange Souffle is a fantastic dessert after a nice hearty meal on a cold winter day. It is very healthy as it contains milk & orange. Boil 2 cups of water in a large bowl. Mix milk, orange slices, orange juice, condensed milk, orange rind & liquid gelatine. Take a orange, cut off the top & scoop out the orange slices. Pour the mixture into this. Refrigerate for 3 hours & serve chilled.